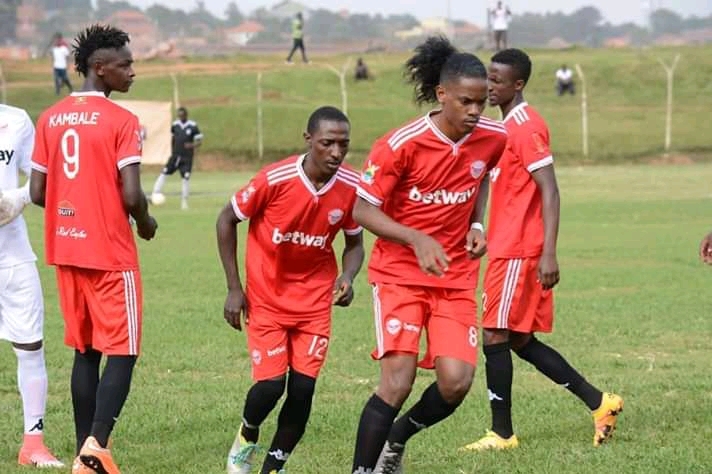 WANKULUKUKU – Express FC will hope to return to winning ways when they host Ndejje University at the Betway Mutessa II Stadium on Thursday afternoon. Off a disappointing 1-1 away to Maroons, the Red Eagles are seeking a string of results that will ignite their season that has been marred by inconsistency. Kefa Kisala’s charges have only won back to back games once this season (vs Tooro and then Paidah in November), something that is worrying for them. However, with two victories against the other promoted sides already in the bag, their confidence must be sky high when Ndejje rolls into Wankulukuku. “We have prepared well for the game and want to win it so bad because we drew in our last, said Kefa Kisala ahead of Ndejje’s visit. “We are confident we can beat them especially after defeating the other two newly promoted sides. “However, it will not be a walk in the park as they are also looking for points to help them try to avoid relegation. Express will be without star-striker Eric Kambale who is struggling with a hamstring injury. They will also still miss the services of goalkeeper Arthur Kiggundu who is still yet to find the required fitness. The good news for Kisala is that Shafic Kakeero has recovered from the nasty fall he suffered in the 1-1 draw at Maroons meaning that the Wembley graduate will most likely be paired with John Revita as Isaac Mutanga returns to the bench. For Ndejje, they have be woeful so far as they have managed only two victories all season. Not that they were expected to be world beaters but even the football that is being exhibited by the University side is not appealing. The luck of positive result and a brand of football which is described by many as ‘lucking’, has led to several fans in Bombo, start calling for head coach-Raymond Komakech’s head. The trip to Express on Thursday may not have been one they expected anything from at the start of the season but if somehow they (Ndejje) can grind out a result, it may as well kick-start their bid to avoid the ever looming drop. This will be the first top flight encounter between the two sides with Ndejje currently in their maiden Premier League season. Against the other two newly promoted sides, Express has so far collected maximum points. The Red Eagles defeated Paidah 3-1 and then Nyamityobora 2-1. In their last 8 League games, Express has managed only two victories (D3 L3). At home, they have lost only one game all season (W3 D3). For Ndejje, they are currently on a 9 game winless run (D2 L7). In that period, they have also conceded a League high of 19 goals whilst scoring 5. Away from home, they have lost all their 7 fixtures conceding 15 and scoring only two goals. Against the other traditional top 4 sides (KCCA, Villa and Vipers), Komakech’s side have managed to gather only a single point so far (L2). The point came in their home game against SC Villa which ended 1-1.